Bula and welcome to Castaway Island, Fiji! Castaway Island, Fiji is a pristine private island 4 star resort located in the heart of Fiji’s Mamanuca Islands group. The island’s 174 acres are covered in rich tropical rainforest and surrounded by white sand beaches, vibrant coral reefs and azure South Pacific waters. This picture perfect Fijian resort setting is enhanced by the genuine warmth and hospitality of our family of staff who welcome guests back year after year to experience the magic that is Castaway. The resort offers traditionally inspired individual bure accommodation with stylish and spacious interiors. Sixty five spacious ‘bures’ (bungalows) featuring traditional Fijian style thatched roofs are nestled amongst lush tropical gardens or at the water’s edge. Stylish interiors using natural rattan and local timber furnishings, feature high vaulted ceilings lined with hand painted ‘Tapa’ cloth – each one a unique and individual design. All bures are air conditioned as well as fan cooled. The sound of the ocean, the calming touch of an ocean breeze, the colourful sights of this beautiful tropical island and of course the Fijian hospitality add to the mouthwatering aromas and tastes of the renowned Castaway creative island cuisine. You will be spoilt for choice with delicious meals, no matter your tastebuds . Whether breakfast, lunch or dinner, your culinary journey awaits! 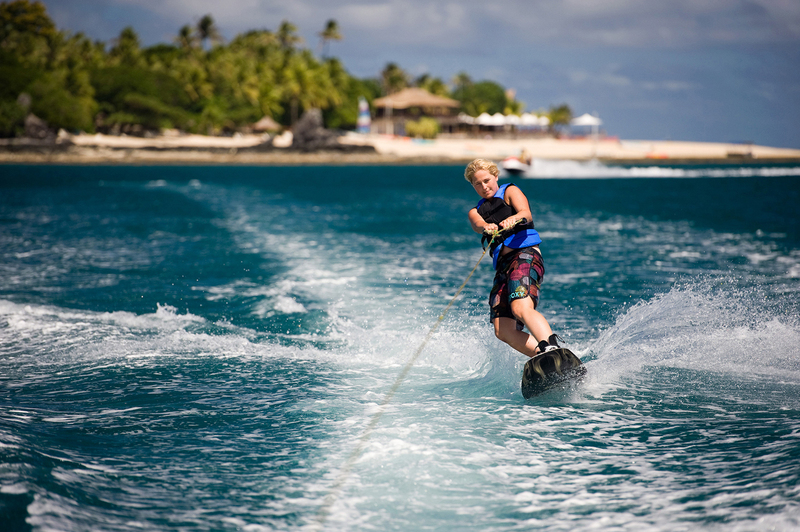 Whether on sand, land, in or under water, the Fiji Islands offers a vast array of activities and things to do. Castaway is situated in the heart of the Mamanuca Islands group and can cater for all active or more sedentary pursuits. Whether it is surfing at Cloudbreak, drifting off during a blissful massage, or simply enjoying our pristine coastline, there truly is something for everyone! Family-friendly fun for everyone! Castaway has visitors returning year after year with their families and extended family members to their island home. Castaway is the recipient of many tourism awards including – Top 10 Fiji Resort for Families/ Trip Advisor / Holidays with Kids / Out & About with Kids and more. It’s impossible not to be captured by the magic and romance of Castaway Island, Fiji. This stunning private island resort is perfect for couples seeking time-out from the real word to relax, rekindle and reacquaint. The island provides time for the nurturing love and attention you both deserve.